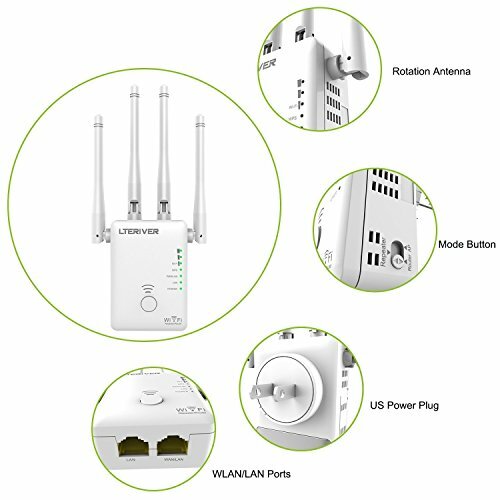 1.Supports Wi-Fi Repeater/ Wireless AP/ Wireless Router three mode, satisfy different using requirements. 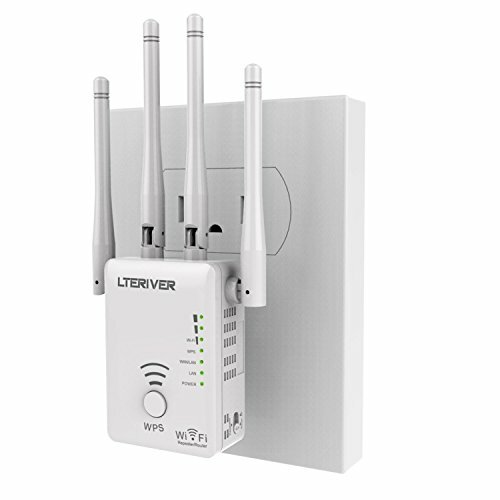 2.Wireless AC 1200Mbps ultra speed ensure better Wi-Fi gaming, video&audio better transmission. 3.Easy to set up by wireless device like smart phone( Iphone,Samsung ,LG,Black Barry etc),IPAD,Android Pad,Windows Pad, Note book ,Desktop PC etc. 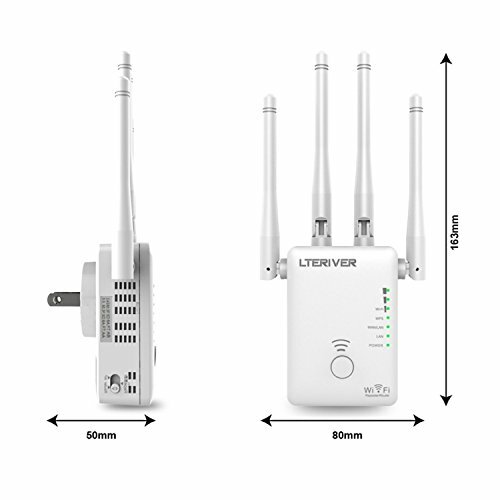 4.Four external 3dbi Wi-Fi antenna provide better Wi-Fi performance. 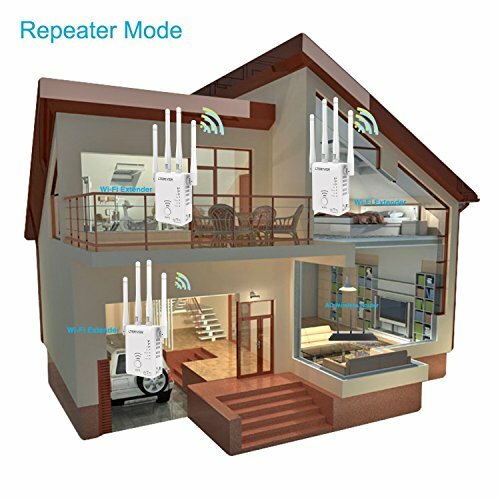 Repeater Mode: Extend/Repeat Wi-Fi coverage, Eliminate Wi-Fi Dead Zones. 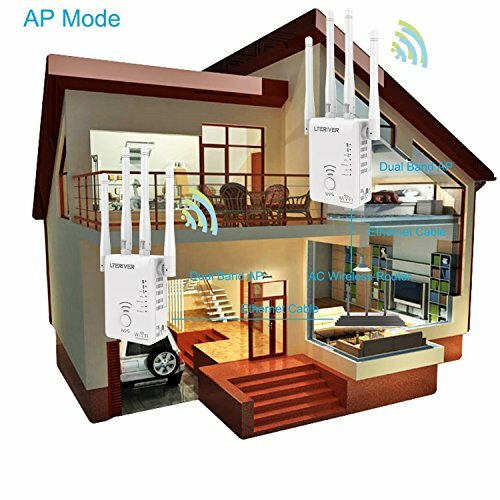 AP Mode: Provide high performance free Wi-Fi connection by Ethernet cable from your router or switch. 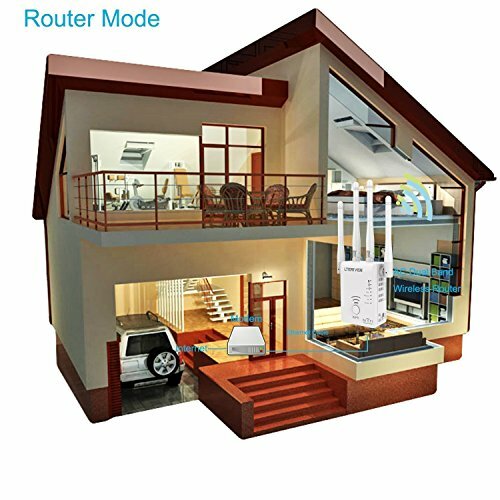 Router Mode: Provide high performance free Wi-Fi connection by internet cable from the ethernet modem. 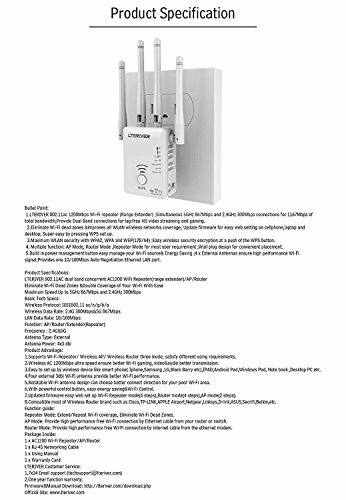 Maximum WLAN security with WPA2, WPA and WEP(128/64) -Provides one 10/100Mbps Auto-Negotiation Ethernet LAN ports- Updated firmware six steps for web setting/Two steps for WPS setting. Promotion Ideas:60PCS only for this price buy with saving.